The enriching blend of wild harvested seaweed and citrus in this vegetable soap is rich in vitamins, minerals and proteins. A known antioxidant, this hand wash helps remove free raidcals, reducing cellular damage and promoting healthy skin. With a low pH, this soap will gently cleanse and tone your skin, without drying it out. Wild harvested organic seaweed is said to have antioxidant properties, reuptedto benefit skin. Free from Parabens and SLES. Free from artificial preservatives and colours. 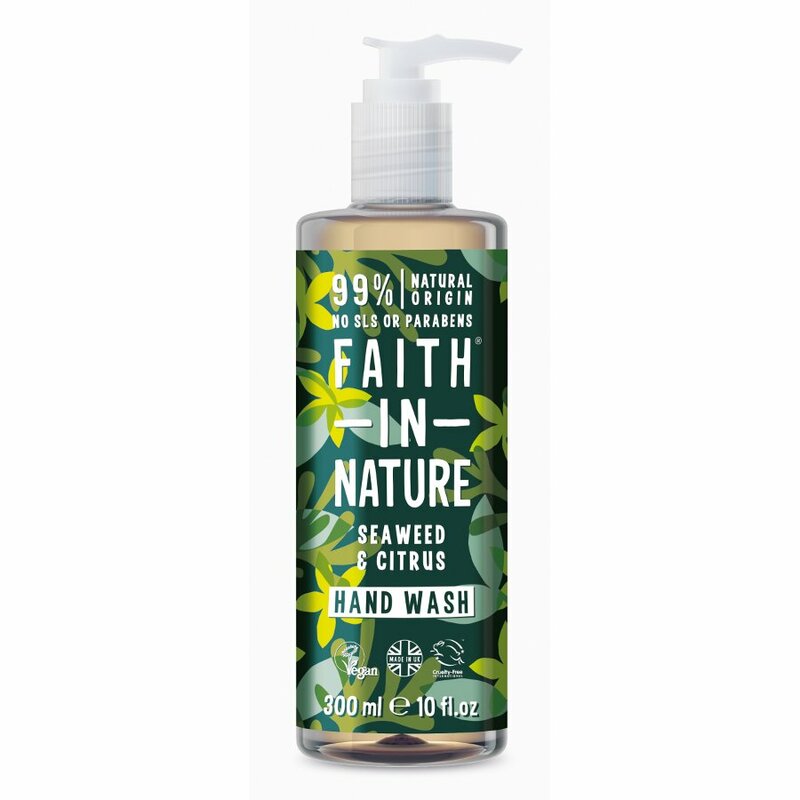 The Faith in Nature Seaweed & Citrus Handwash - 300ml product ethics are indicated below. To learn more about these product ethics and to see related products, follow the links below. Gentle on skin and smells lovely. Really nice handwash with subtle but very pleasant fragrance suitable foe women or men. Only need a little bit, foams nicely and leaves hands feeling clean and fresh. I would recommend this product to anyone, it lasts really well and smells amazing. Like all the other products i have tried from Faith in Nature, i have been completely satisfied with every aspect. 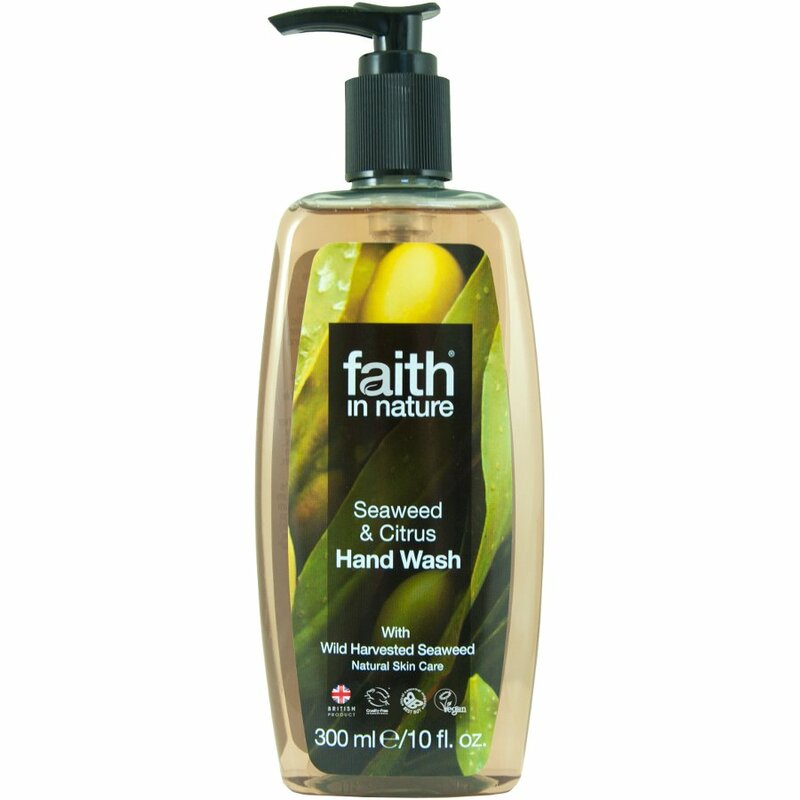 There are currently no questions to display about Faith in Nature Seaweed & Citrus Handwash - 300ml.